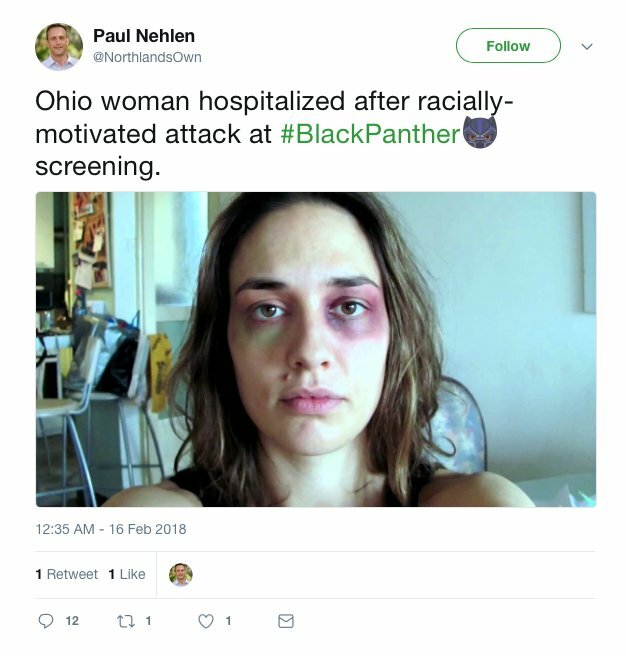 Trolls are posting fake claims they’ve been assaulted at showings of Black Panther, it’s being reported. According to reports, a number of social media users have been sharing images of women they claim have been assaulted ‘at the hands of young black people’ during screenings — which have been proven to be false. 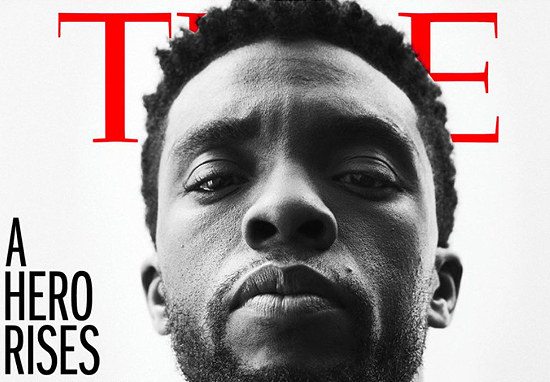 Although we’ve had the odd black hero pop up in films in the past such as Luke Cage and Blade, we’ve never had anything quite like Black Panther before as Chadewick Boseman’s character is at the forefront of the film. 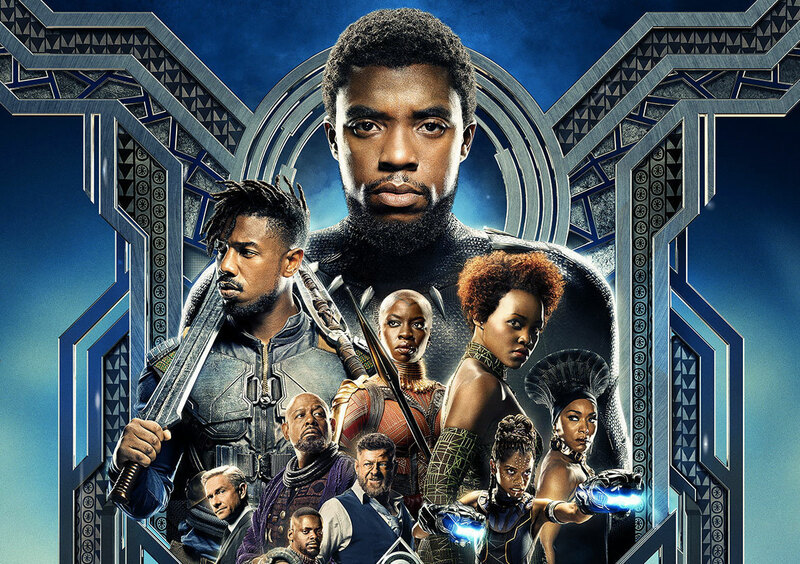 For decades there’s been a significant lack of representation in all cinema not just the superhero genre but Black Panther changes this. However it seems a sad few are using it to make these false and completely inappropriate claims. Went to the #BlackPanther premier tonight and my wife was assaulted. 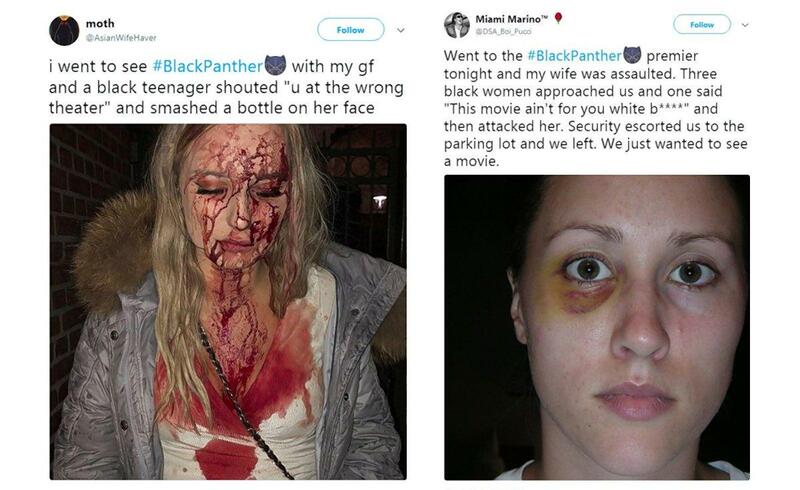 Three black women approached us and one said ‘This movie ain’t for you white b****’ and then attacked her. Security escorted us to the parking lot and we left. We just wanted to see a movie. There’s a bunch of people on here posting fake assault pictures and saying it was black teens at #BlackPanther showings. There's a bunch of people on here posting fake assault pictures and saying it was black teens at #BlackPanther showings. God I hate people. Moving on from utter morons trying to ruin the film – and life – for everybody… the film has had amazing feedback, with a 100 per cent rating on Rotten Tomatoes, at the time of writing.